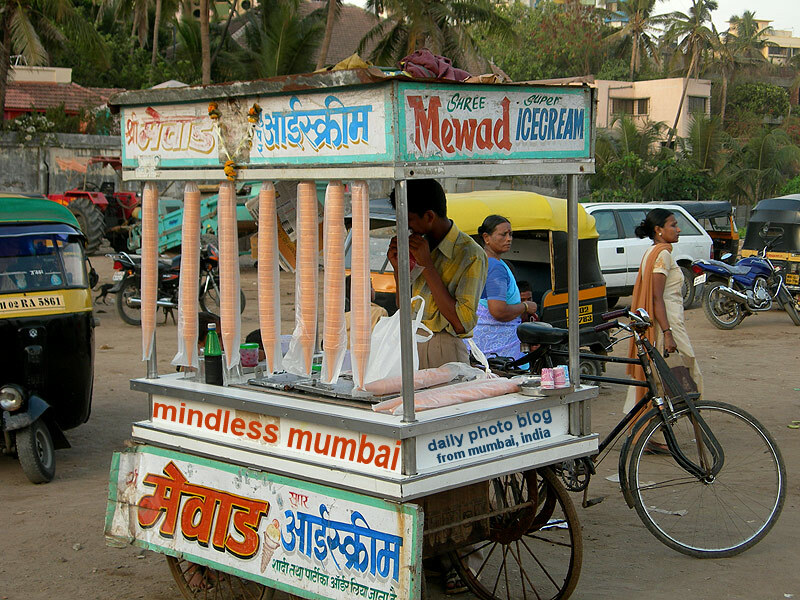 mewad ice-cream is synonymous with ice-cream on the streets. it's usually hand made each day by a single / group of persons, and often the maker and seller is the same person. found in all parts of mumbai, especially in khau-gullys and on beaches. aswhini from MMO and me were to once do a story on these guys, but it never happened. found this piece in The Hindu about mewad ice cream, quite an interesting read. Nice photo, and I'll bet that it tastes great on a hot day! Congrats on your visitors milestone!! I like the way the cones hang down like stalagmites.